Our client is a leader in the field of designing and manufacturing advanced power electronics for renewable energy, backup power, marine and mobile applications. Our client develops, manufactures and delivers innovative and competitive renewable energy power products and services. Our client's products use solar energy to recharge inverters that provide electricity during power outages. Our client wanted to leverage Internet of things (IoT) and M2M communication technologies to automate the process of collecting data, processing it and converting it into graphical representation for the purpose of monitoring their devices. Using IoT technologies the data from our client's power storage devices (invertors, charge controllers, generators, etc.) would be sent to the cloud data server. And through aggregation services customer’s current and historic device data would be aggregated which will then be used to generate energy consumption reports. Other features that were required are: Profile and User management modules, application with a rich UI with different elements like graphs, etc. Xoriant collaborated with client's technical team comprising of Product Manager, System Manager, Developers and QA team to start the engagement. Xoriant’s core team comprised of a Project Manager, Senior Technical Architect and .NET technical lead. 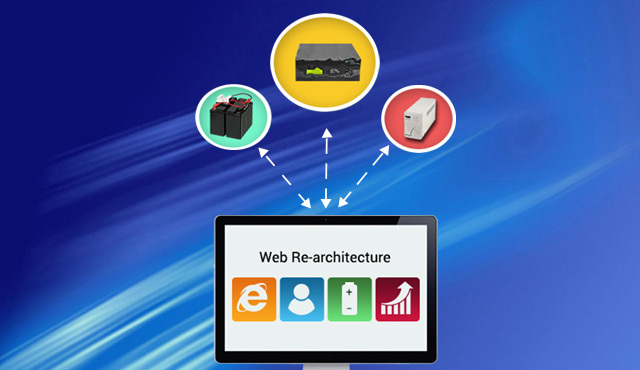 Xoriant deployed Senior Technical Architect onsite who understood the existing system and the requirements of our client and documented the understanding and held several meetings with the offshore team to define the new architecture and functionality. Device API here collects the data from device hardware and allows it to be stored in the ATS. The data is then queued and used further by Aggregating Service. 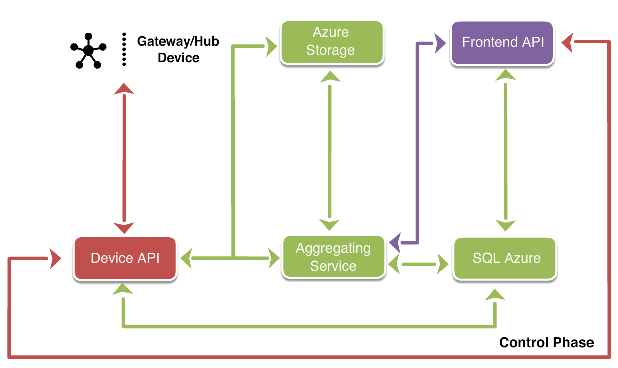 The aggregated data stored in ATS and SQL Azure (collectively it makes up for the web application database) is used to create graphs and display it on the UI using Frontend API.